Was on a boat in the south coast of Brazil when this tropical storm suddenly and washed us out. I found this photo very captivating and beautiful. Such drama and anticipation, a bit scary - will things get out of hand? I can almost feel the motion of the sea and swirling winds. 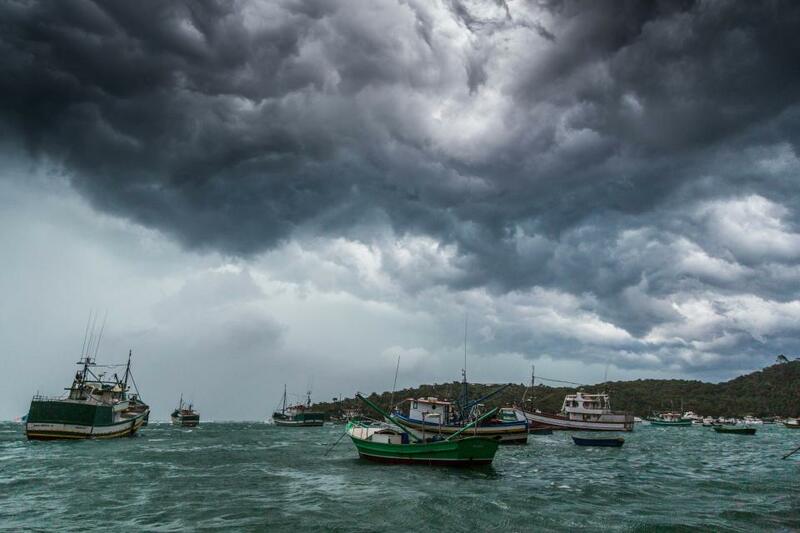 The texture of the storm clouds and overall color tone is awesome, and I love the green tones of the boats and ocean.